Wow! It's the Fourth of July! It seems that summer is flying by already! Today, I am planning on slowing down, and enjoying the day with my family. 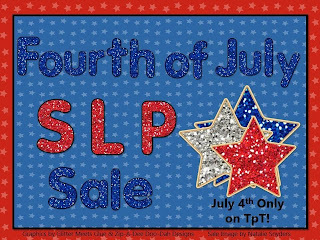 But, before everyone wakes up, I am planning on taking advantage of a great SLP sale on TpT! I know I am looking at cleaning up my wish list a little bit. 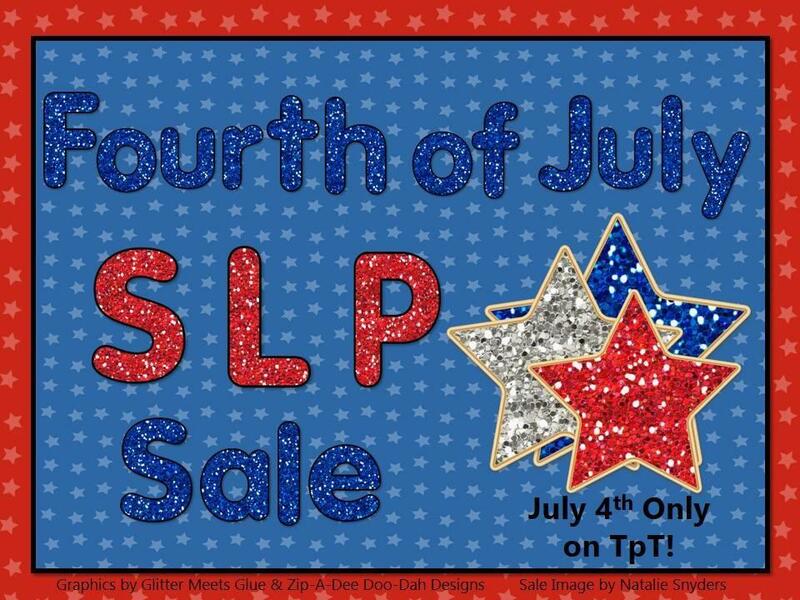 My entire store will be on sale for 20% off today and tomorrow.